I have Mattress Fundraiser Brochure for our second annual mattress fundraiser which will take place on August, 25 from 10 am- 5 pm in the girl’s gym. 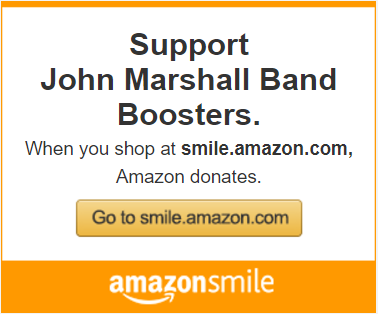 It is a great way to raise money to pay down your band assessment fees. Please share the attached information on your social media networks. The more people we get in the door, the more money we can raise for our students. There will be a representative from the company on band registration day that will be able to talk with you in detail on how the fundraiser works and what percentage goes back to your student based on mattress’s sold. At last Tuesday night’s Band Booster meeting, we announced our next corporate fundraisers and handed out these attachments that give more information about the fundraising. We’ll be hosting a Bowl-A-Thon on MARCH 26th and a golf tournament on April 8th. We will need everyone’s help collecting corporate donations for each of these things. These fundraisers are both a student fundraiser, as well as a corporate fundraising opportunity. For every corporate sponsorship a student can attain, they can earn $25.00 towards their student account. The Sponsorship solicitation will run from now until the 10th of MARCH. The Sponsorship solicitation will run from now until the 20th of MARCH. The students can take the Sponsorship Packet (CLICK HERE) to a business and that business should have all the information they need to make decisions about donations to give. We’re super excited about these events. Be on the lookout for the email with registration information for these events soon! Al’s Gourmet Nuts fundraiser is due today!!! For those of you who missed our booster meeting this is our first student fundraiser of the year. We have done numerous fundraisers with them in the past and their product is always fresh, delicious, and a huge hit with everyone who tries them!! A student fundraiser means that the profits go into each student’s individual accounts. The money earned can help offset your assessment fees for the year. Al’s Gourmet Nuts gives 50% profit on each item sold. Orders and payment due: Tuesday, August 23rd. You may have your students put their orders into the large maroon box in the director’s office. They will know where this is located. If you have any questions at all, please just let me know.